The Airedale breed was created at the middle of the 19th century and it is the result of the crossing between the old English terrier with the Otterhound. 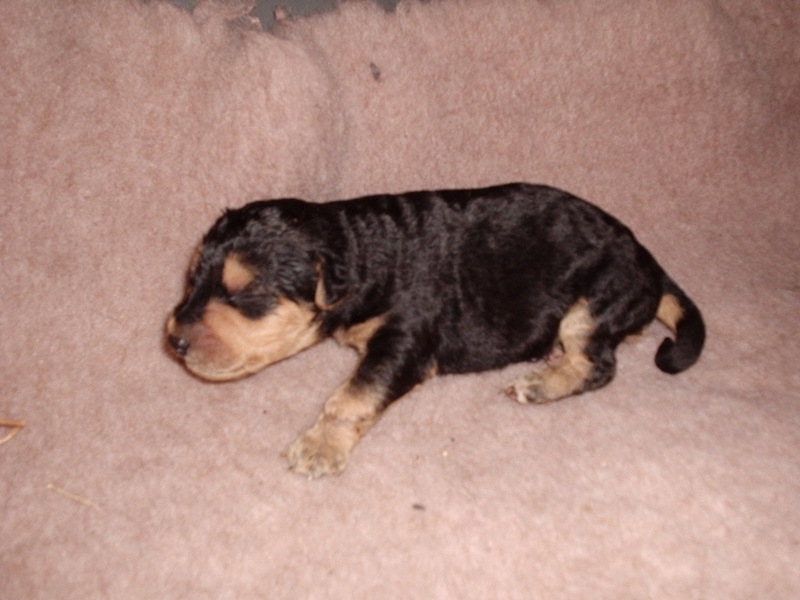 The first Airedale puppies appeared in the Aire County in Yorkshire, and this is why the dog has this name. It is the biggest British terrier, being used for protection, for help for the Red Cross during the two World Wars, and for the most difficult tasks where dogs can be used. It is a big dog, with an elegant appearance and expressive eyes. The ears are small, in the form of the letter V. It is not pretentious, and this is why this dog is so popular.